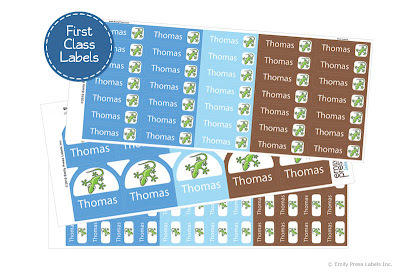 The first I purchased just last week were from Emily Press Labels (pictured above), after this post on Project Nursery. My labels showed up in less than a week and look great. They are stylish, functional and affordable. They have waterproof, dishwasher and laundry safe labels big and small. 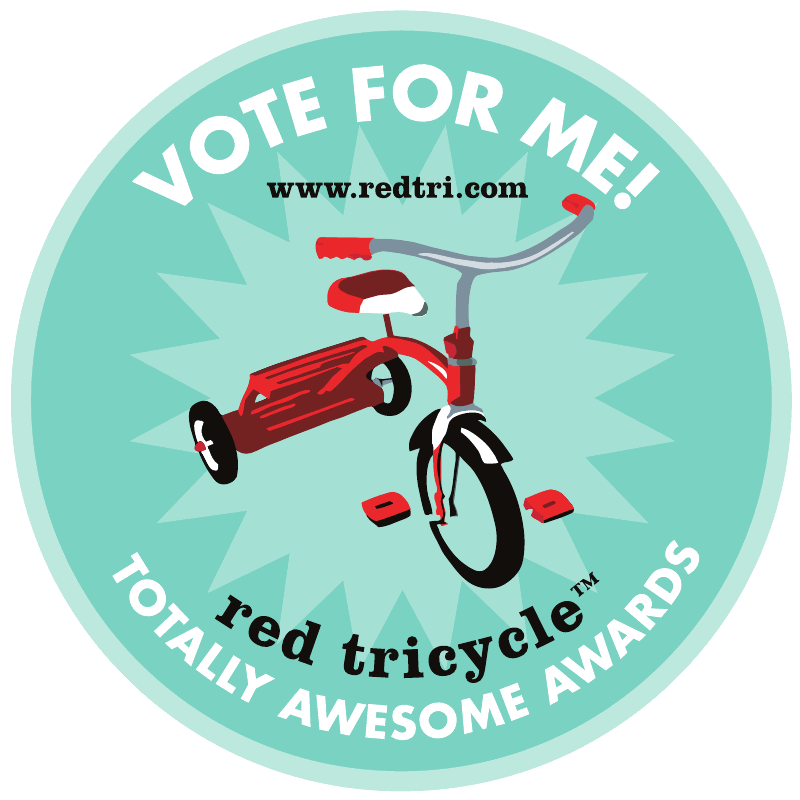 To get 10% off your next order, enter code PROJ10 at checkout. 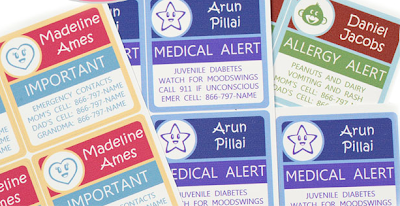 Now if your child has allergies or medical alerts, these Allergy & Medical Alert Labels from Name Bubbles are another a wonderful source. 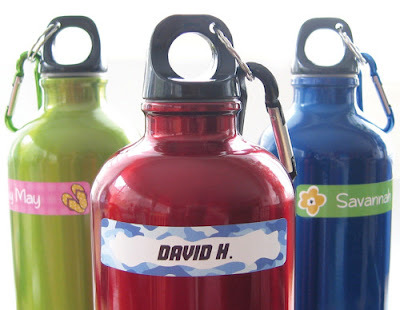 They also have a large selection of dishwasher safe and waterproof labels. 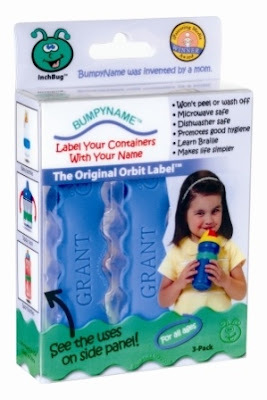 If you don't trust these sticker labels in your dishwasher or making it through multiple sink washes, these personalized bands from BumpyName Orbit Label to put around your sippy cups and bottles are fabulous and will not fall off. I also have these for my son and love them, thanks Christy for this source! And not to leave out those of you with older kids, I think these personalized water bottles from Em Tanner Designs are so cute!